Below are a number of frequently asked questions regarding appraisal for General Practitioners. Do I get paid for my appraisal? Your status on the day your appraisal takes place will determine your entitlement to a £300 payment. Doctors who are partners get paid through their practice global sum or global sum equivalent. Can I choose an appraiser from another geographical area? We would encourage you to choose an appraiser from your area, but it is not essential. Do I have to complete a GP appraisal every year? Yes, appraisal is a contractual obligation. Non-participation is referred to the HSCB. The BSO is informed and inclusion on the Primary Medical Performers List (PMPL) may be affected. A GP must be on to the PMPL in order to provide a clinical service in General Practice regardless of status. What happens if I am unable to complete my appraisal? If you cannot complete an appraisal by 31st March each year and have not informed NIMDTA or HSCB of extenuating circumstances the BSO and HSCB will be informed. Each individual case will be reviewed at the Primary Medical Performers List meeting. I have recently completed the GP Induction & Refresher Scheme (previously returner scheme) and am now working as a GP. When should I complete my next appraisal? I am a doctor training in another specialty, but am still on the performers list and working in OOH/GMS. When should I complete my appraisal? A review of your GP work needs to be carried out on a yearly basis, whilst you remain on the performers’ list, even though you are specialising in an area outside general practice. This can be carried out by an appraiser. You will not be eligible for payment for this review. How do I apply for extenuating circumstances? If you have extenuating circumstances e.g. illness you can request exemption from the appraisal scheme for the current appraisal year. You should contact Dr Helen Rogers regarding your circumstances. If these circumstances are accepted NIMDTA will be informed. When your extenuating circumstances period has ended you should register for your appraisal as normal. What do I do if I am retiring? 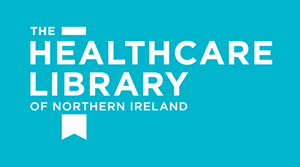 If you are fully retiring from General Practice and will not be completing any further nGMS sessions you must inform the BSO on 028 9536 3782 or patricia.craig@hscni.net and ask to be removed from the performer’s list. Please also inform NIMDTA by emailing gpappraisal.nimdta@hscni.net. If you have any further queries please contact 02890 400015. I have recently joined the NI PMPL. When should I have my next appraisal? If you are working in two different countries within the UK, the appraisal should be completed in the country where you are carrying out the majority of your work. An appraisal should be completed within one year of joining the NI PMPL; however, it is important that you have an appraisal carried out for each appraisal year (1st April-31st March). This may mean that an appraisal needs to be arranged much sooner. What do I do if I have already completed my appraisal elsewhere in the United Kingdom? If another deanery within the UK has completed your appraisal please email your signed and dated completion of appraisal documents to gpappraisal.nimdta@hscni.net. This will enable us to update our records and inform the BSO to enable you to remain on the Northern Ireland performer’s list. What is a form CP 2A? This form should be completed annually for all roles that require a licence to practice not included in the provision of general medical services. It should be completed by you and your employing authority. A separate Form CP 2A should be completed for each role. It is not always necessary to have a formal performance review in these other roles in order for the forms to be completed. The RO has spoken to most employing authorities to ensure that these forms will be available for you. Can I use the RCGP Eportfolio for my appraisal? The RCGP eportfolio may be used by an appraisee to collect their supporting information for their appraisal. Unfortunately the appraiser will not be able to access this information unless the appraisee authorises them to view it via the appraisees’ own login details. 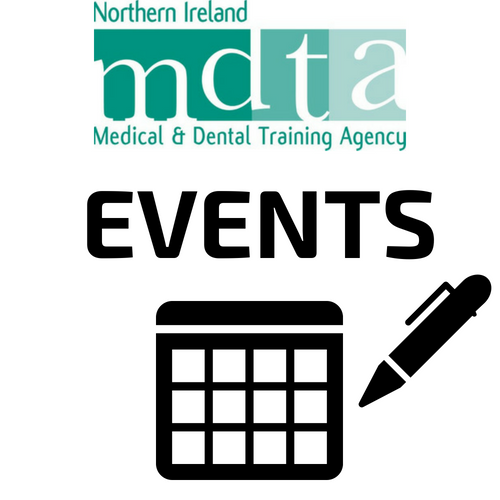 For appraisee’s to make full use of the eportfolio NIMDTA would have to sign up as a deanery. As a substantial group of doctors are not RCGP members this means in the long term they may be charged for the service. NIMDTA have therefore decided at present not to sign up to this. NIMDTA feel that an on-line system is the only way that appraisal will be managed properly in the era of revalidation and are currently waiting on the Department of Health to make a decision on this. 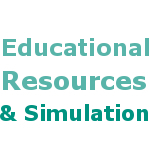 PLEASE NOTE – Any appraisee’s using the eportfolio as a repository for their supporting information must still complete the hard copy appraisal forms available on the NIMDTA website.